I’m sorry folks. I’m pregnant and craving bacon. I can’t help it. I dream about it at night and then wake up ravenous. My poor – poor husband. Anyway, I thought other people might enjoy a little bacon in their lives. So, I found a few great recipes online to share. Click on each link for full instructions. YUM! YUM! Previous Post: « No Hospitalization For Me! It’s too funny you posted this. I have been buying so much bacon…great coupon deals. I was thinking yesterday I need to find a recipe so we could eat it for dinner. I love bacon too! Vera: Thanks again for featuring another recipe of mine here. I am smiling wide! 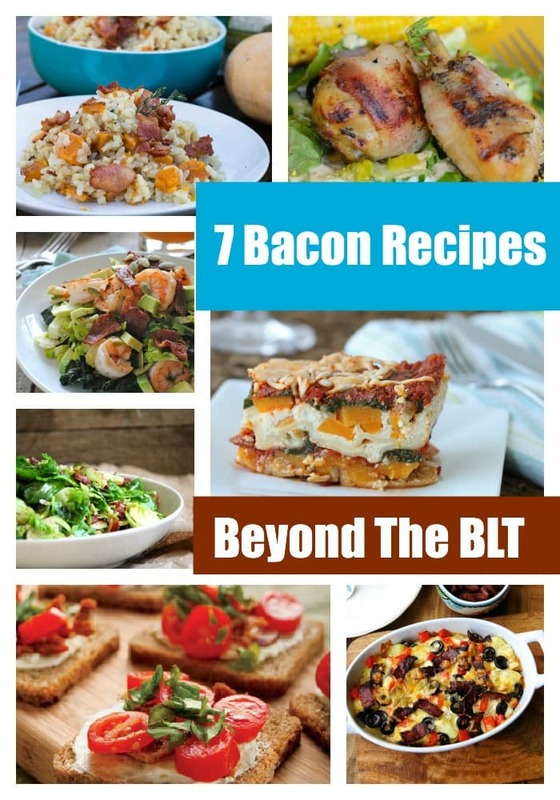 All the bacon recipes look beyond delish and tempting…Have a great summer!